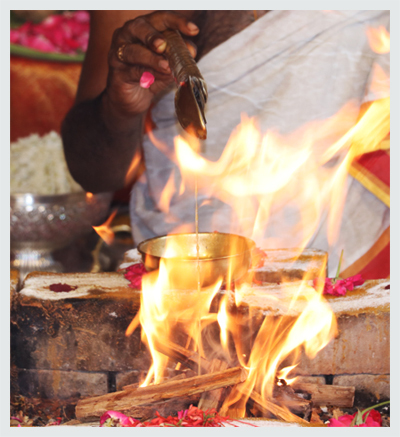 On the 4th Waning Moon, when the energy of Ganesha is available in abundance, Pillai Center will be performing a grand fire lab to Sankashta Hara Ganapati, who is a special form of Ganesha the remover of obstacles. 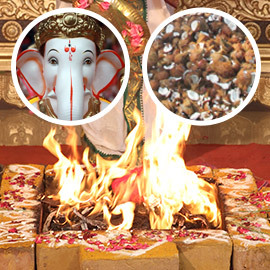 According to scriptures, fire prayers to Sankashta Hara Ganapati can destroy your impediments and grant immense prosperity and success in all endeavors. 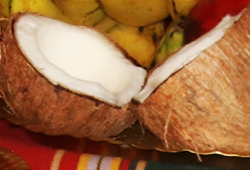 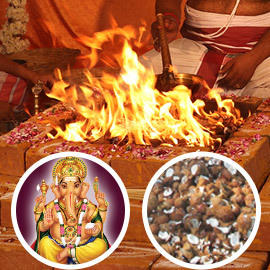 On the 4th Waning Moon, when the energy of Ganesha is available in abundance, Pillai Center will be performing a grand fire lab to Sankashta Hara Ganapati, the form of Ganesha who smashes obstacles. 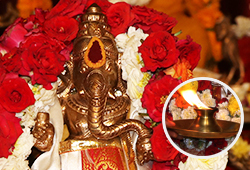 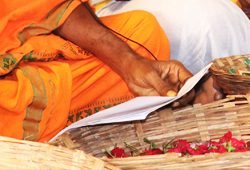 It is said that prayer offerings to Sankashta Hara Ganapati can destroy your impediments and grant immense wealth and success in all endeavors.